I, in association with Aircel, proud to announce a nation wide graphic design contest. The participants have to draw "Tiger Emoticons". Yes, Tigers of all type- White Tigers, Yellow, Bengal tigers, African and all. We need thousands of emoticons, the smartphone enabled emoticons. Because in the future this is the only place you can see a tiger. Yes, like today we tell our children the stories of all extinct animals, birds, flowers and tree, it is not too far that we would be telling them about the magnificent tigers also who existed once upon a time. In the population of 1.27 billion [approx] Indians, we have only 2226 tigers left. Only 2226! We are least worried about the fast extincting numbers of this majestic animal that Nature and God has created on the earth. We are more worried about the beef that we cannot eat or the two odd characters in tele-serial who couldn't get married to each other even after 400 episodes and 4 different marriages. In the fight of our own rights, our own survivals, we tend to forget or take granted for, the survival of other living beings. Hey we are human, superior of all. The ecosystem is only about us, we are the only authority on earth and biodiversity should be restricted till our books of geography. I ask why? I ask how can we? Yes, Human being the most superior of all living being. However, the superiority doesn't comes with singular existence nor showing dominance by killing others. Superiority comes in co-existence. And co- existence is a very important facade of our lives, our bio diversity and the world we live in. 1) Tigers protect Genetic Diversity- Tiger is an umbrella species. Conservation of tiger helps in conversation of a large number of Flora and Fauna and the entire ecosystem. 2) Tiger helps prevent climatic change and, helps bring rains- large forests are the natural habitat of healthy tigers, which in turn is nothing but the natural sink of carbon. Larger the reserve, larger the carbon credit. Also, a tiger is not just a guardian of forest but also an indicator of a healthy forest. A dead tiger is mere a show piece but a live tiger can help in bringing rain. 3) Tiger is our national Animal- They are our national pride. Their grace, strength and enormous power has earned them to be a symbol of our national pride. Killing tigers will lead to extinction of various other flora and fauna. You should be ok with their extinction as long as you are ok with replacing Royal Bengal Tiger as national animal with Loyal Indian Donkey or Crow. Save tiger- for National Pride, Biodiversity, Healthy Ecosystem and Tourism! 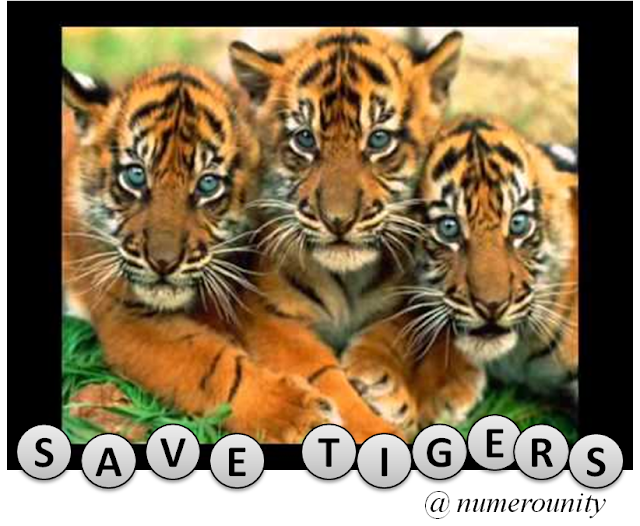 5) Join the "Tiger Conservation programs"
Remember, You are the power of We. It is you that becomes we and can take the flame forward. Otherwise, we all have to live with the paper tiger or the Smartphone Tiger.